I appreciate the time and effort you put into bringing me quality local products and services at significantly discounted prices, really I do. I don't mean to be a complainer, especially so soon after my last letter regarding your unfortunately worded ad for mole removal. And I do appreciate that you refunded my money in that instance, although I still have the problem of burrowing critters in my cucumber patch. That's neither here nor there, however. It's just that I find I've once again been taken in by a Groupon offering that is...well, I hesitate to use the word "fraudulent," but really, I find it hard to use any other term. Surely I can't be the only consumer who has been taken in by the promises of the local business in question, only to be gravely disappointed. I recently found the following advertisement in a Groupon email. I have to tell you, I was excited by this. The price alone was enticing; I wasn't sure what this type of service should cost, but $99 for a $750 value certainly seemed like an amazing deal. Frankly, I think $750 is a little steep, but no matter. When one needs spider-vein removal done, one needs it done, and any opportunity to save money on it is cause to rejoice. So I contacted the business (name redacted to save them from public shame) to find out more. I was assured that the procedure was safe, effective, and discreet. I asked if it was all right that I was only making the arrangements for the actual client and was told that was perfectly acceptable. Everything seemed good to me, so I made an appointment. When the day arrived, I transported the patient to the clinic. We went in and sat down in the waiting room. I handled filling out the required paperwork, of course. After a short while, we were invited into the operating area. Everything was going well until I introduced the clinic staff to the patient, at which point they flatly refused to perform the procedure. When I asked for an explanation, they responded that they didn't provide service "to her kind." In this day and age, I was simply astounded to hear such blatant discrimination given voice. The clinic staff assured me there was no prejudice involved, simply "policy." Which seems like hiding behind semantics to me, but who am I to change the mind of a bunch of bigots? 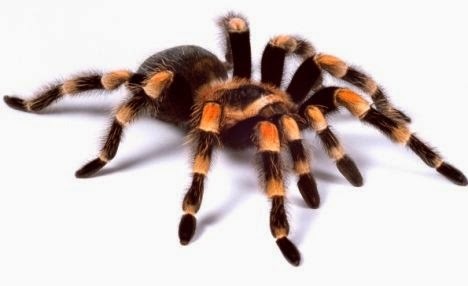 Long story short, we left the business in question without having the spider-vein removal done. And Lulu is very disappointed. She takes great pride in her appearance and really wanted those unsightly veins removed. You can see why she's a bit vain about her appearance. So once again, Groupon, I must ask for a refund because I was unable - through no fault of my own - to redeem the offer I purchased in good faith. 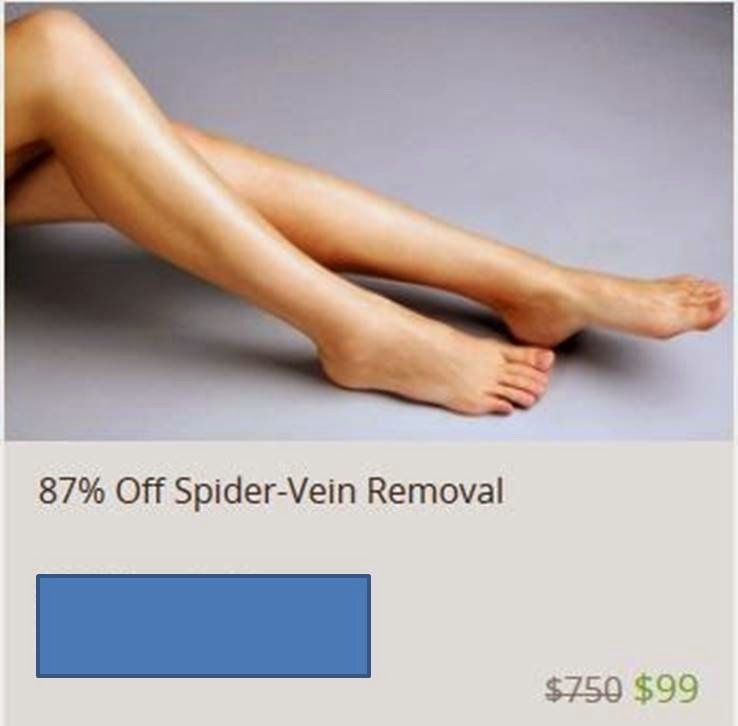 I also request that you alter future appearances of this advertisement to specify that spiders are not eligible for spider-vein removal. Which, I must say, seems a bit crazy to me. But whatevs. I'll end this here. Lulu still needs cosmetic surgery, and it falls to me to find a reputable practitioner. Do let me know if you decide to offer this service. You know, on spiders. I knew where this one was going as soon as I read the words "spider vein". What are spider veins anyway? Varicose veins? I love your groupon posts so much.